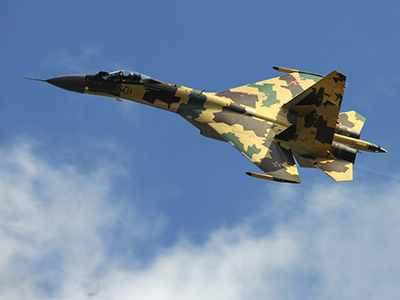 Russia’s Sukhoi has rocked the 50th Paris Air Show at Le Bourget with the premiere of its cutting-edge Su-35 fighter. Super-maneuverable even for a Sukhoi, the Su-35 has been dubbed the “UFO” for its outstanding maneuverability. The Sukhoi Su-35 (NATO classification: Flanker E), Russia’s newest, super-maneuverable, multirole fighter jet has conducted its first training flight at the Paris Air Show, and aircraft industry experts were reportedly wowed by the jet’s performance. There will be little competition for the Su-35 at the Paris Air Show, primarily because sequestration in the US Military’s budget has left Le Bourget without any US Military airplanes present, either for displays or show flights. The Su-35 has become the first Russian fighter jet to take part in the Paris Air Show since 2001, while this is the first time 1991 the US has not presented a fighter jet at Le Bourget. Probably the only major feature that the Su-35 lacks - and which prevents it from being labeled fifth-generation - is limited stealth capability, as only some parts of its airframe are made of composite material. Nonetheless, it can detect stealth aircraft such as the US’s F-35 at a distance of over 90 kilometers. This enables Su-35 to perform all current stunts, including Russian specialties such as Pugachev's Cobra, the Frolov Chakra, the Dead Leaf, and the unprecedented Pancake, which is an horizontal 360-degree made turn without losing speed. The Pancake is performed only by the Su-35. The first country to buy a Sukhoi Su-35 could be China, as Beijing is already in talks with the manufacturer: “We have signed an intergovernmental agreement on the supply of Su-35 planes to China," Aleksandr Mikheyev, deputy head of Russian arms corporation Rosoboronexport told reporters. "As of today we have a legal base with China. An agreement on the protection of intellectual property has been signed," Mikheyev added. 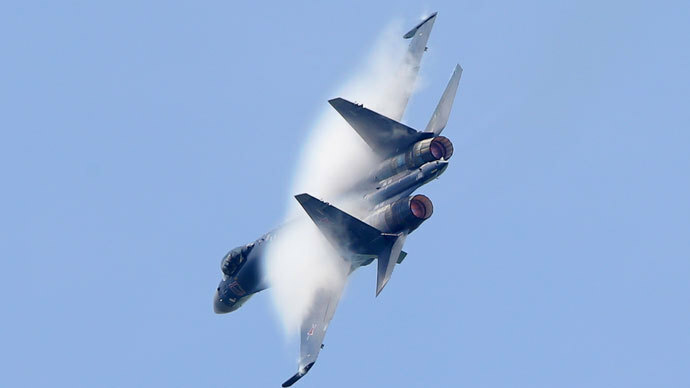 Beijing reportedly intends to buy 24 Su-35s, with a contract due to be signed by the end of 2013. Two other Russian aircraft will also debut at Le Bourget: The Yakovlev Yak-130 ‘Mitten,’ a subsonic two-seat light attack jet, and the Kamov Ka-52 ‘Alligator,' a coaxial helicopter gunship. But the first demonstration flight of a Ka-52 has already been accompanied by a minor scandal, as the gunship was banned from its scheduled flight. Two Eurocopter Tiger helicopters performed in the program instead. “The crew started the engine and began the taxing maneuver when it received the organizers' instruction to return to the static parking area and to stop the engine,” a Kamov spokesperson said. A source in the Russian delegation said the "organizers explained this by the fact that the French prime minister was visiting the air show at the moment." 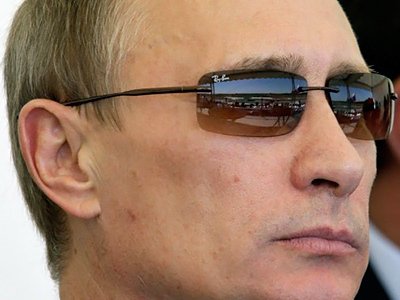 The source said that if the European helicopters had flown after the Ka-52, they would have attracted less attention. Later in the day, the Alligator finally made it to the skies, though the exhibition was already closing and many of the guests had already left the show. A demonstration flight of a Yak-130 trainer took place on schedule. The airshow at the Le Bourget exhibition center takes place from June 17 to 23, and opens to the public on June 21. The event brings together over 3,000 aircraft manufacturers from 44 countries: 1,040 French, 350 American, 124 German and 115 Italian. 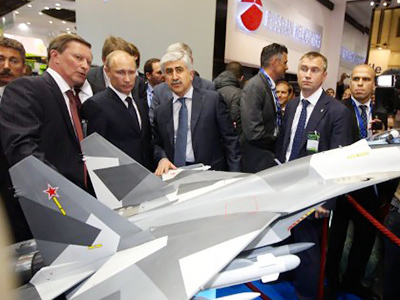 Forty-six of these companies, including Sukhoi, are Russian. Last year’s Le Bourget airshow saw a record $100 billion in contracts signed; organizers expect at least $125 billion to be signed this year. Some 70 percent of the more than 140 aircraft being exhibited are civil, and the rest are military. Around 40 aircraft will give flight demonstrations.